In 1908, the first graduating class of SMA, the Class of 1909, began classes on our original campus on Academy Street. As the 2018-2019 school year begins, the one hundred eleventh class, the Class of 2019, begins their final year of Upper School. Even more extraordinary, the one hundred twenty-fourth class, the Class of 2032, begins their educational career in Kindergarten as SMA re-opens the Lower School program. San Marcos Academy is settled within the beautiful hills of the Texas Hill Country, just outside of San Marcos. Our 220-acre campus allows us the opportunity to educate students, giving them a competitive edge as they move into career opportunities or enroll in University higher education. 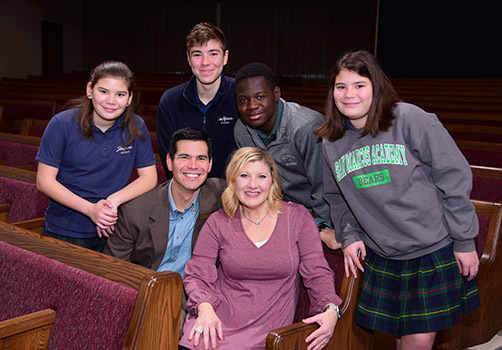 Above all, our Christian heritage encourages our students in their faith as we become the shining light on a hill, not just in Texas, but the world. For more than a century, San Marcos Academy has educated students from around the world. Both our Boarding and Day programs are designed not only to provide a strong academic foundation built on excellence but also to equip our students with the values and virtues that enable them to become upstanding citizens in the world. The opportunities for leadership are immense and students are encouraged to get involved in campus organizations, athletics, fine arts and service to the surrounding community. We look forward to seeing you on the SMA Campus. Dr. Brian N. Guenther, Ed.D. About the President . 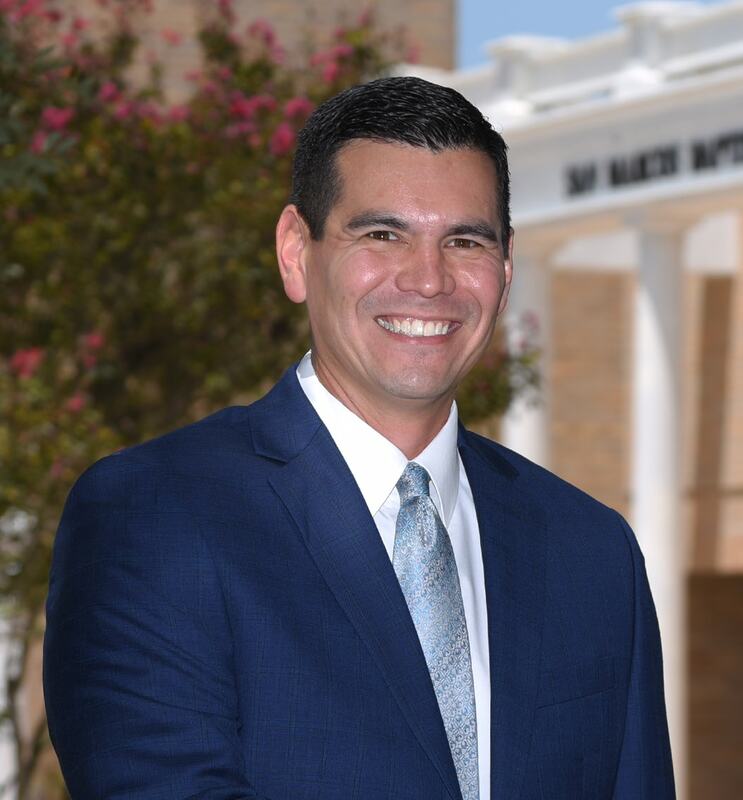 . .
Dr. Brian N. Guenther was named the fiftteenth president of San Marcos Baptist Academy on August 1, 2018. He and his family reside on the SMA campus in the beautiful Hill Country of Texas. Dr. Guenther has spent the past fifteen years in the field of education serving as a teacher and administrator. 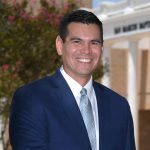 He has a passion for excellence in teaching and challenging students, faculty, and staff to reach their highest potential. 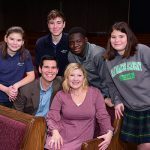 Additionally, he has spent over two decades serving in church ministry in a number of roles: associate pastor, teaching pastor, worship leader, youth pastor, and elder. Dr. Guenther, his wife, Christy, and his family have a desire to share the Gospel and live their lives as examples of living on mission. Dr. and Mrs. Guenther have four children; Caleb, Wilson, Faith, and Grace. Their family has been featured in the Emmy Award-winning news special, Children Left Behind: A KVUE Defenders Investigation.